Make up and cosmetics are two things that can't be separated from beauty talk, especially among the girls. Therefor, I began to put a little attention to make up when I was 20. From time to time, my interest to beauty talk has been growing and I can't let go the talk about make up when I meet my girl friends. I also start learning how to put make up from video tutorial in YouTube. But I felt like it wasn't enough for me. So last weekend, me and my friend Rahma decided to join Wardah Beauty Class to learn more about make up and other things related to beauty. The event was held in Indomaret Point Colombo. Before the make up class started, the beauty experts from Wardah Cosmetic explained about the special make up palette and the make up brushes that we would use. The special make up palette from Wardah consist of lightening two way cake, foundation, eye-shadow, blush on, matte lipstick, and exclusive lipstick. The brushes consist of 5 brushes that can be used to apply powder, eye-shadow, highlighter, blush on, eyeliner, shading, lipstick, and eyebrow. From the make up session, I learnt some tips about make up that I NEVER knew before. 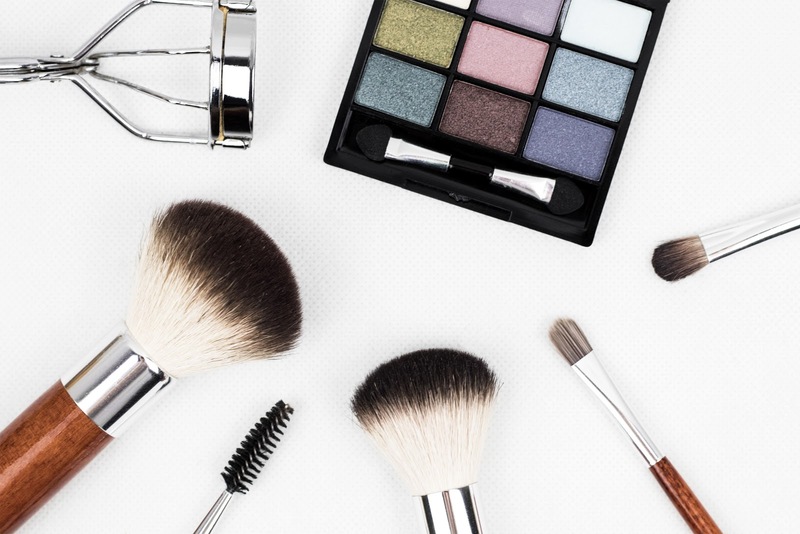 These are the beauty rules + make up hacks that you may also never heard before. Before applying make up, you have to make sure that your face skin is clean by applying toner and moisturizer. Apply the foundation that -1 level from your skin color and the powder that +1 level from you skin color. It will make your base make up to not look cakey. When you apply your lipstick, don't apply a little lipstick and don't rub it with your lips. Apply it evenly on your lips so that the color of your lipstick applied perfectly on your lips. The longer effect is that your lips color won't be darker. You can use your eye-shadow as eyeliner by using the small make up brush that has sharp corner that usually be used to make the eyebrow look more intense. Use the white eye-shadow as the highlighter. For shading your nose, use the brown eye-shadow and apply it by using your thumb and index finger. You don't have to apply mascara for daily make up because it will give you dramatic look on the eyes. But because I love dramatic, I don't care about this tips. LOL. Me. Me? Yes, the third winner-who-can't-apply-eyeshadow-evenly. ROFL. I can't believe that I'll be one of the winners and certified as the third. LOL. 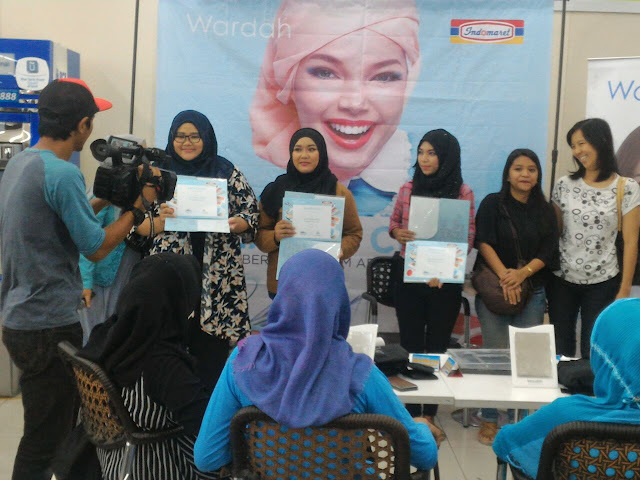 The prize is Rp 200.000,- from Indomaret and Wardah Cosmetic. Alhamdulillah. Thank God for the surprise! Smile widely for your natural beauty, ladies! 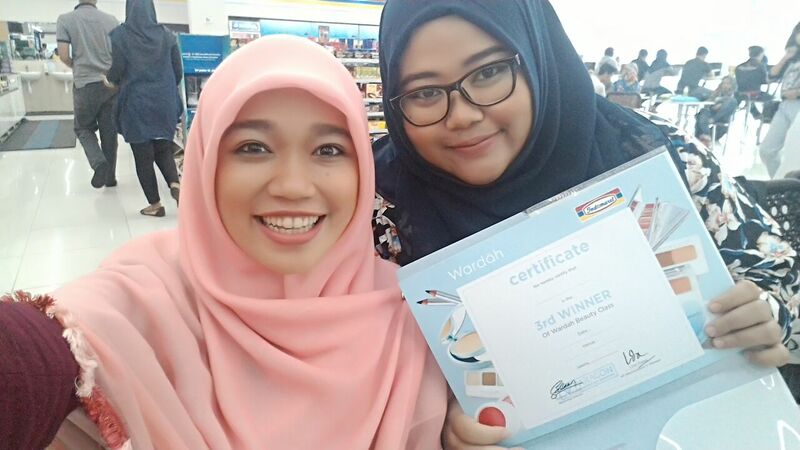 Thank you so much to Indomaret and Wardah too. After this, I hope I can learn more about make up and get another great chance to join other events of Wardah Cosmetic and Indomaret. 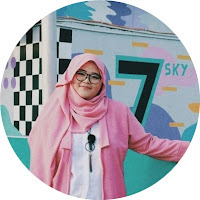 Ini andalan aku banget mak : "Use the white eye-shadow as the highlighter". 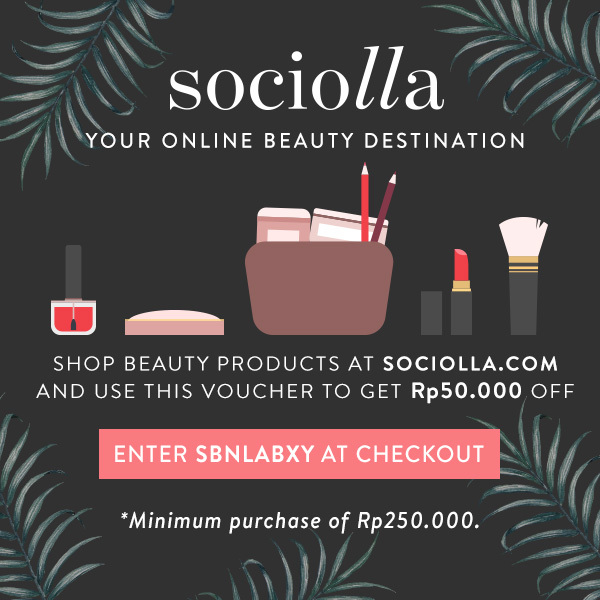 Beauty hacks itu ibarat penyelamat di kala mendesak lol. Use dark eye shadow as eyeliner, this is so me! Walaupun emang agak susah cari yang sepigmented itu sih buat warna warna gelap. Thankyou for makeup hacks-nya Mbak, aseli helpful banget.